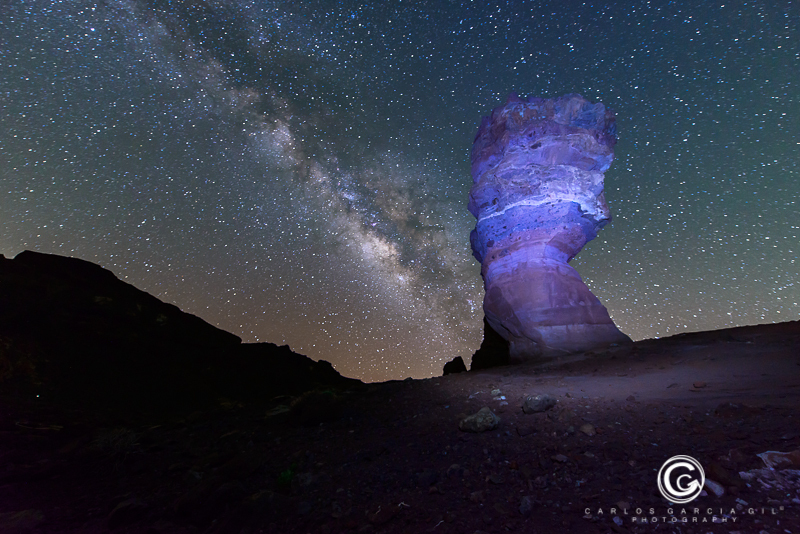 Night photographies of Milky Way and Roques de García in Las Cañadas del Teide. 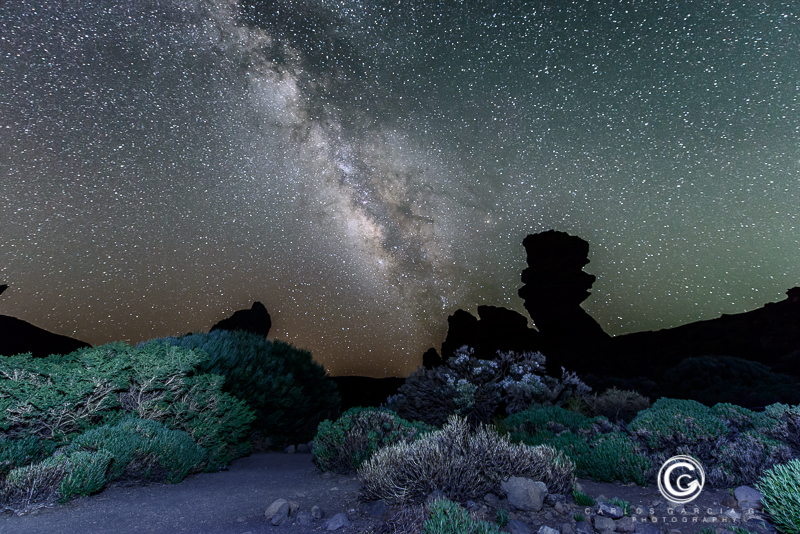 Light painting the night on Tenerife at height of 2300 meters. 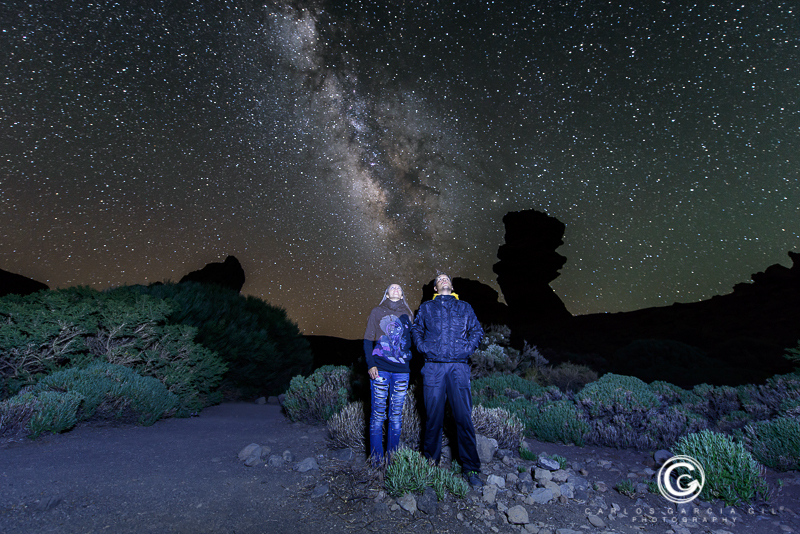 Esta semana tuve la oportunidad de realizar fotografías nocturnas en Las Cañadas del Teide en Tenerife (España) en compañía de algunos amigos. Las condiciones eran perfectas, dada la escasa contaminación lumínica y la ausencia de luz lunar. La Vía Láctea hizo pronto acto de presencia en la noche para iluminar el cielo y despertar nuestro apetito por obtener buenos encuadres que pudieran trasmitir la apoteósica belleza que se encontraba sobre nuestras cabezas y, si a eso le unimos un paraje volcánico sinigual, pues que más pedir. Las fotos fueron realizadas con una cámara Nikon D800, lente Nikon 14-24, disparador remoto, linterna M7 led Lenser y trípode. Todas las imágenes fueron tomadas a 15 mm, f/2.8, exposiciones entre 20 y 45 segundos e Isos altos entre 3200 y 6400. 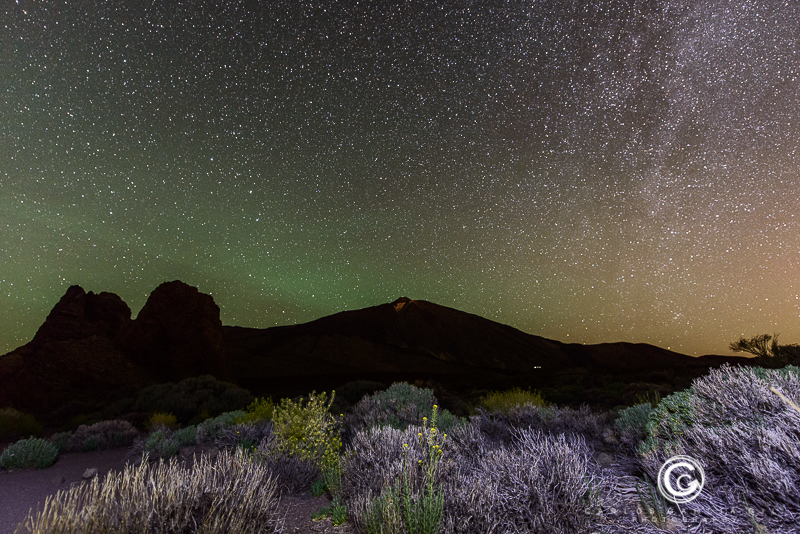 This week I had the opportunity to take night shots in Las Canadas del Teide in Tenerife (Spain) in the company of some friends. The conditions were perfect, given the low light pollution and the absence of moonlight. 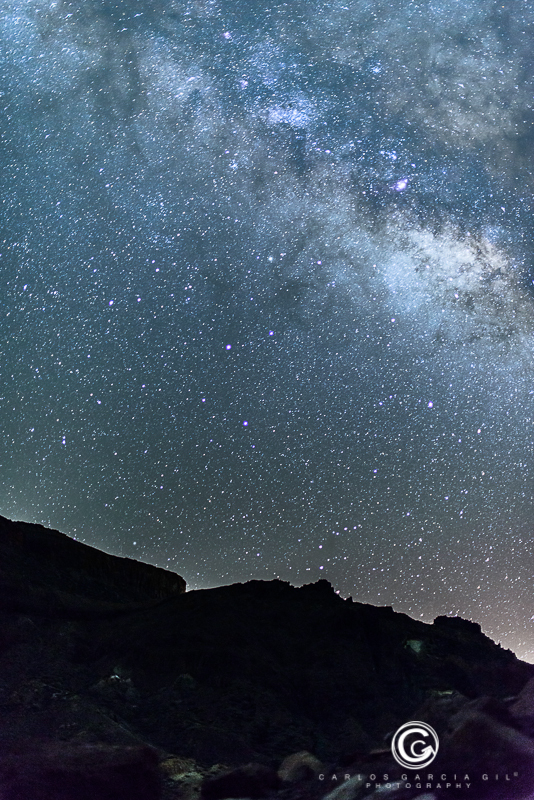 The Milky Way soon made an appearance at night to illuminate the sky and awaken our appetite for getting good frames that could convey the beauty apotheosis that was on our heads and if we add to that a place like no other volcanic, so what more can we order?. 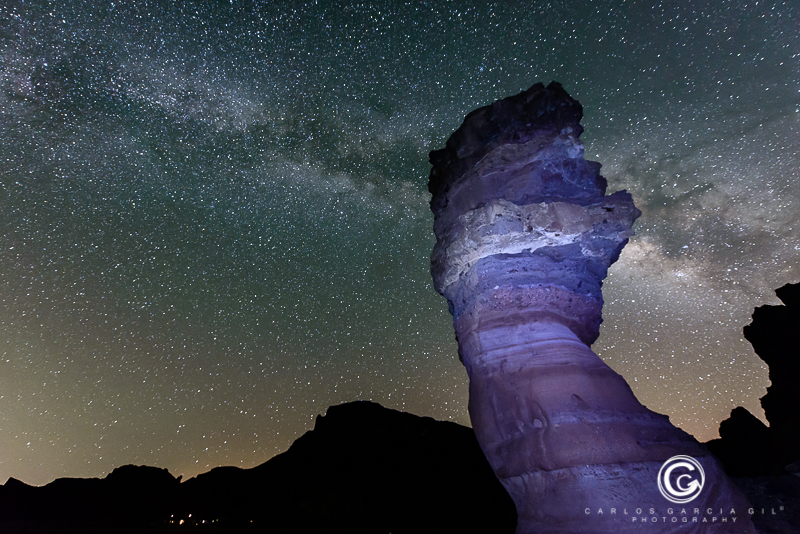 The photos were taken with a Nikon D800, Nikon 14-24 lens, remote shutter, LED Lenser M7 flashlight and tripod. 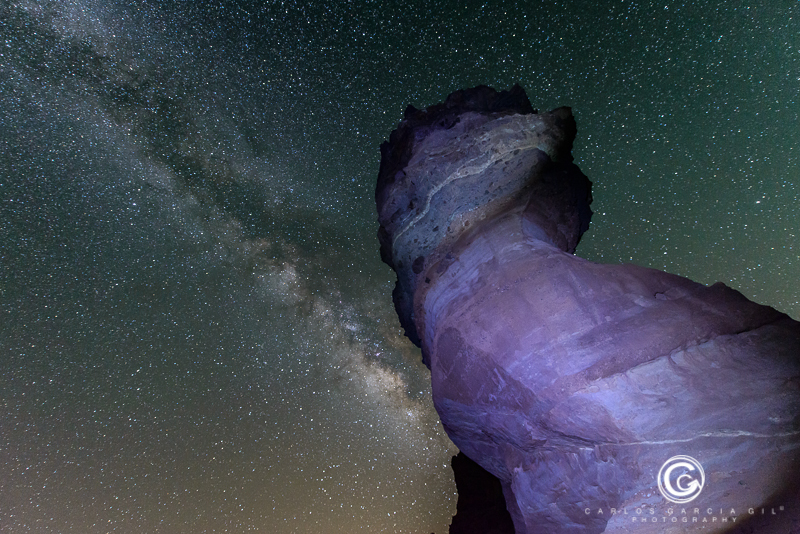 All images were taken at 15 mm, f/2.8, exposures between 20 and 45 seconds and Isos high between 3200 and 6400.